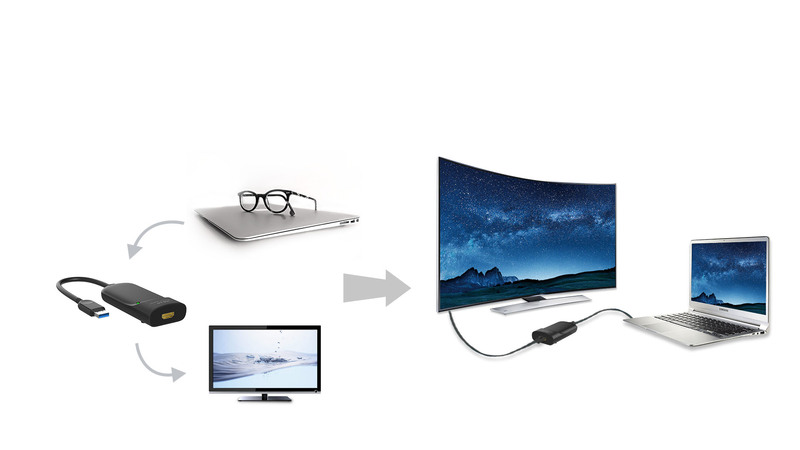 The cable comes in an aesthetically pleasing and sleek case. Simple and elegant , highlight the taste of fashion. If you’re reading one document while editing another, researching, or working on several things at the same time. 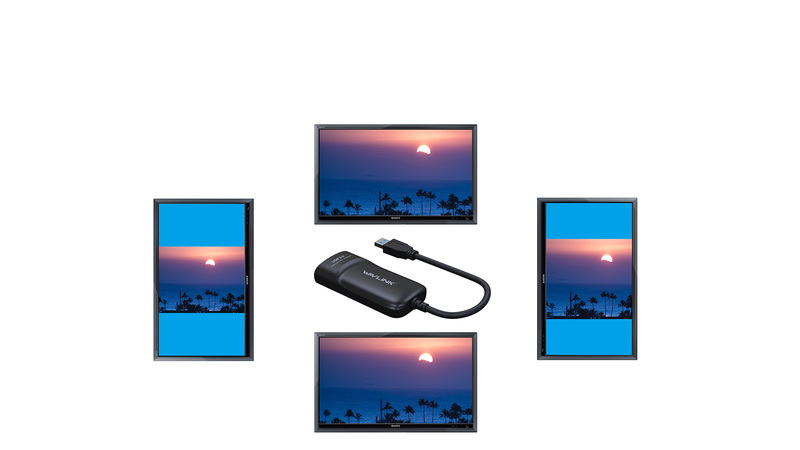 The Multi-Display Adapters are the perfect solution for multi-tasking. 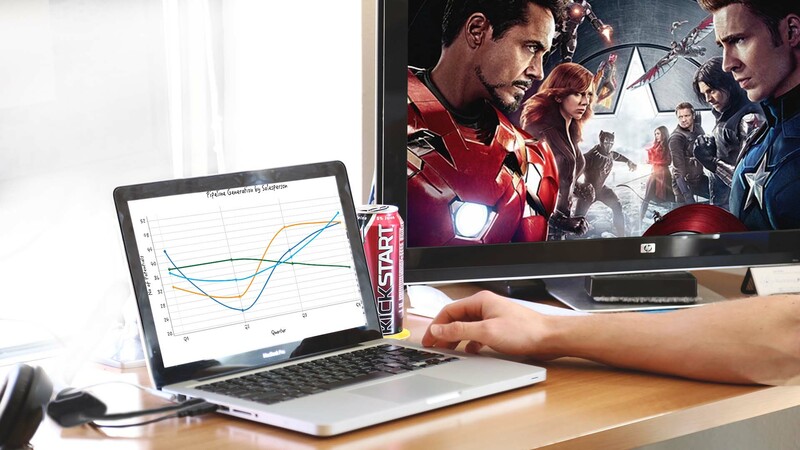 Supports up to six simultaneous displays, extending your desktop/laptop to get more horizons. 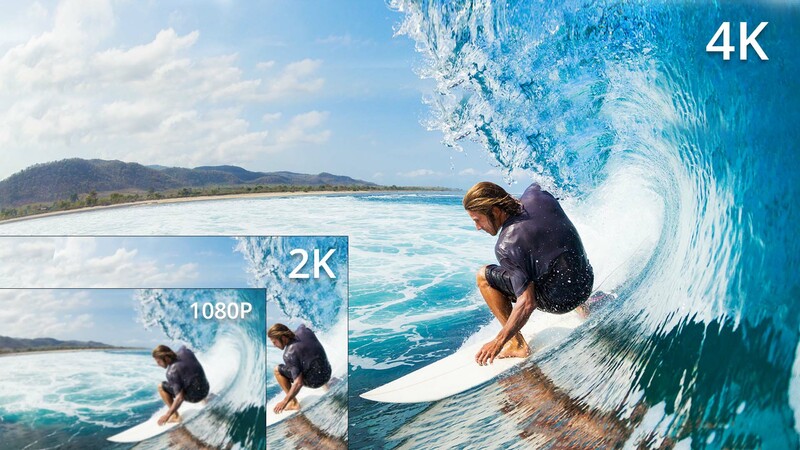 Simply drag windows back and forth to make use of all the extra windows space. 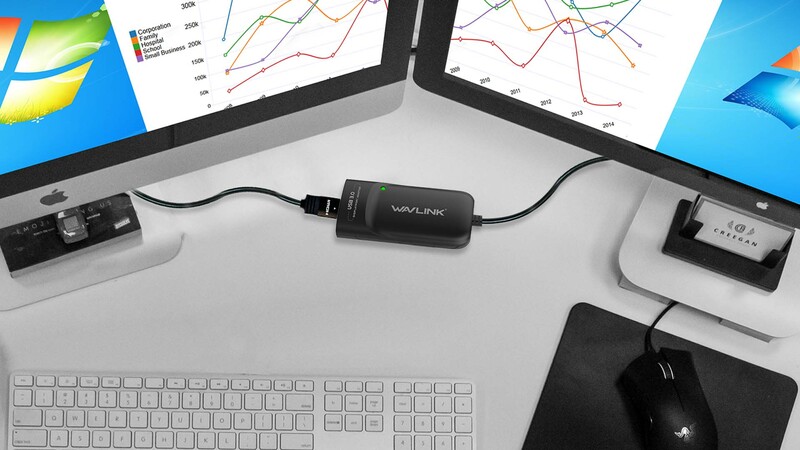 Project your ideas and collaborate in real time by plugging the WAVLINK Display Adapter into a conference room projector or monitor. 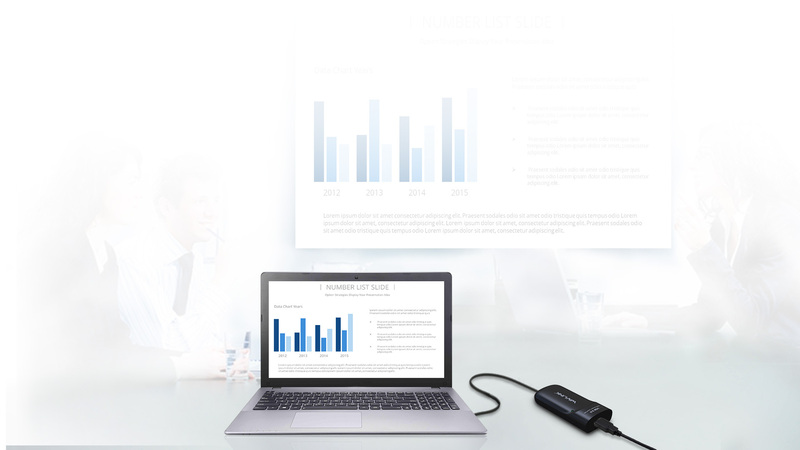 The adapter make it easy for you to expand your view by having access to much more work-related content than ever before. 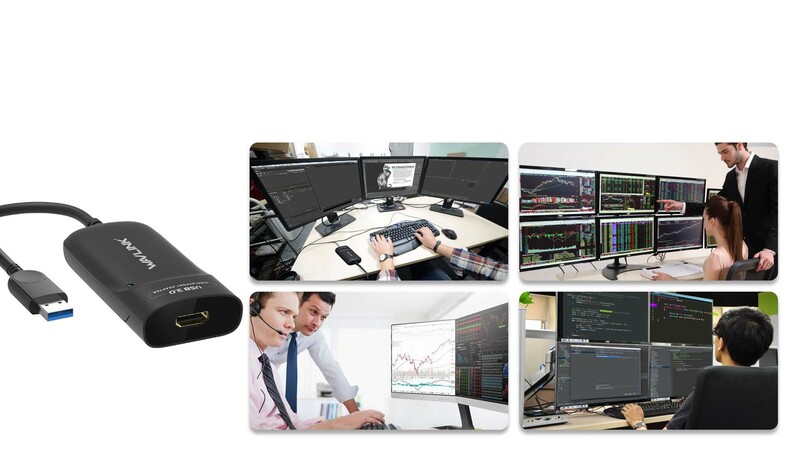 Turn one or both screens to show documents in gorgeous full-page layout (with a monitor stand, that’s capable of rotation). 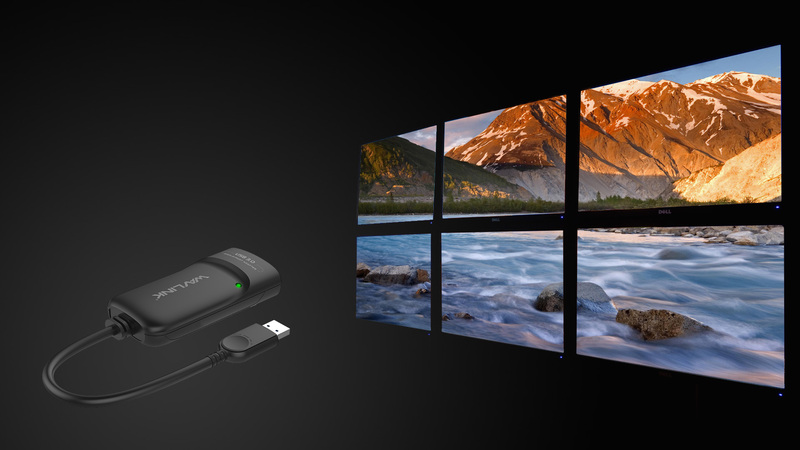 Just connect the WAVLINK Display Adapter into your HDTV or monitor, then mirror or extend your screen and enjoy.